A rare chance to get a 46 and a 47 coming out of Leigham as the 46 should be going the other way. It actually turned left here and went down Novorossiysk Road, presumably as it could get down the hill at the other end of Leigham at this time. 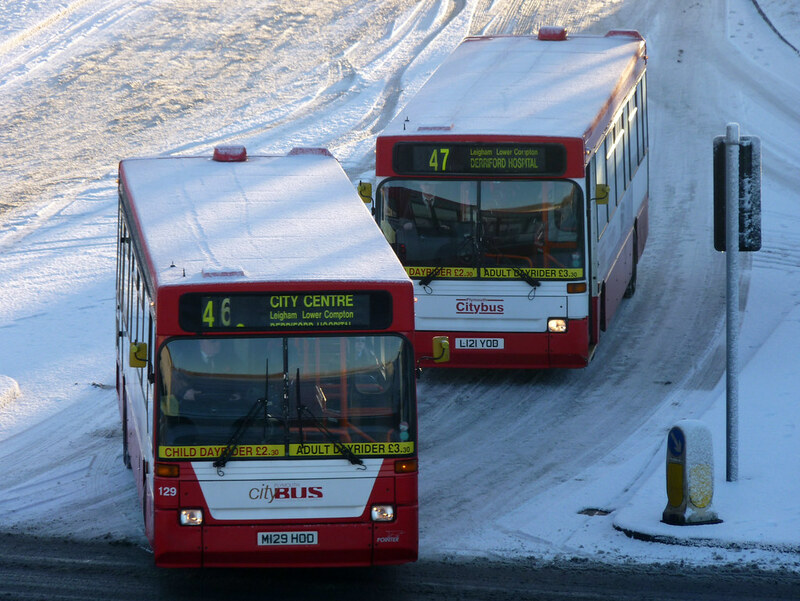 The 47 turned left up the hill but avoided Miller Way and Asda and used Dover Road instead. 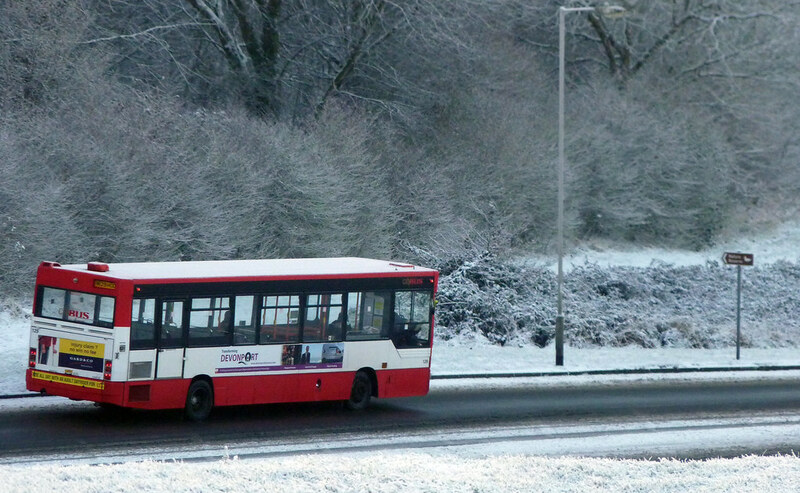 129 slowly going down towards Forder Valley with a nice snowy backdrop. 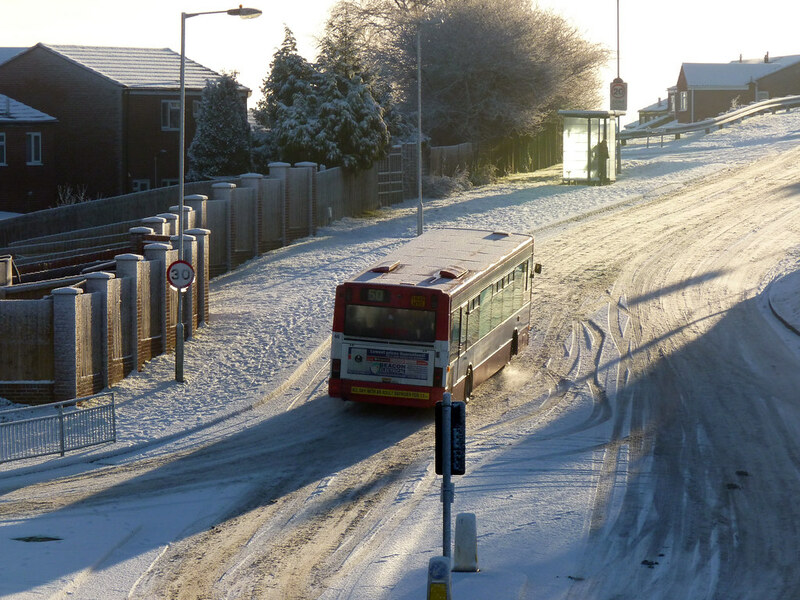 Shortly afterwards other buses did go down through Leigham like Citybus 46 on the 50. It was clearly very slippery at this point with several cars sliding about as they took the corner. 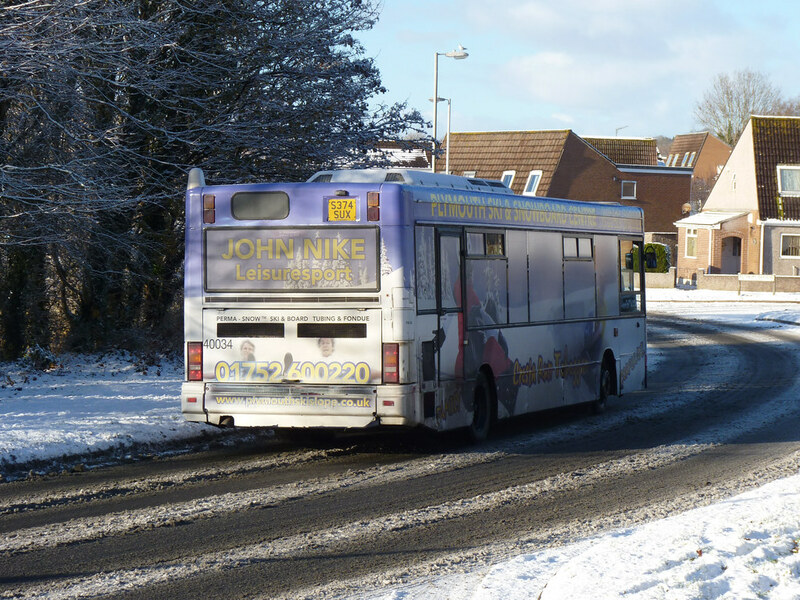 First came out a while after Citybus (up here anyway) but this Dart at least had an appropriate advert livery for the local ski slope! 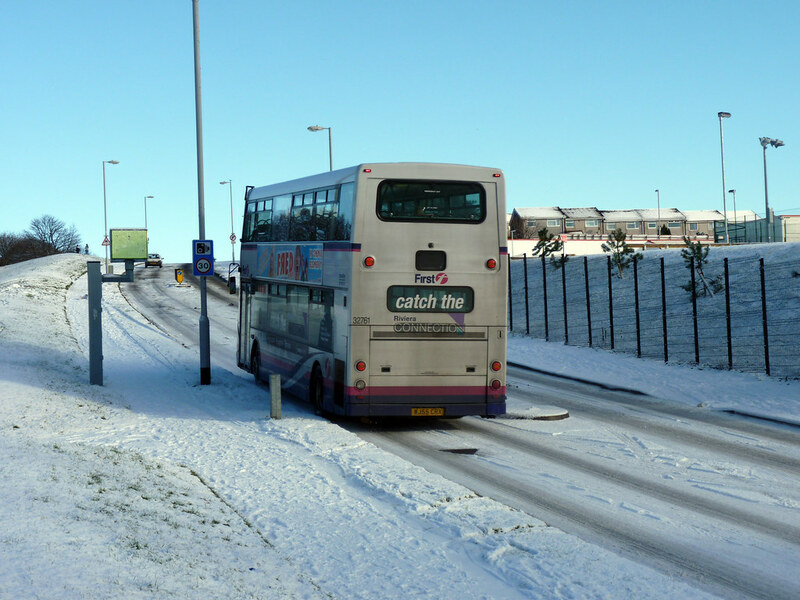 First on the other hand were coming down Miller Way even providing a double decker on the 15. 32761 is seen at the bottom of the hill which was causing problems for much of the morning. 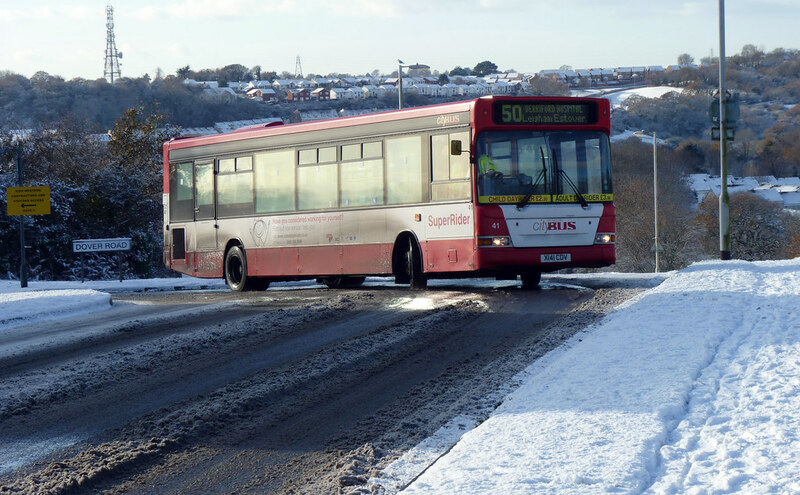 This is the stretch which Citybus were keen to avoid and certainly many cars were coming to grief here, although the buses generally had no problems, apart from getting stuck behind cars! 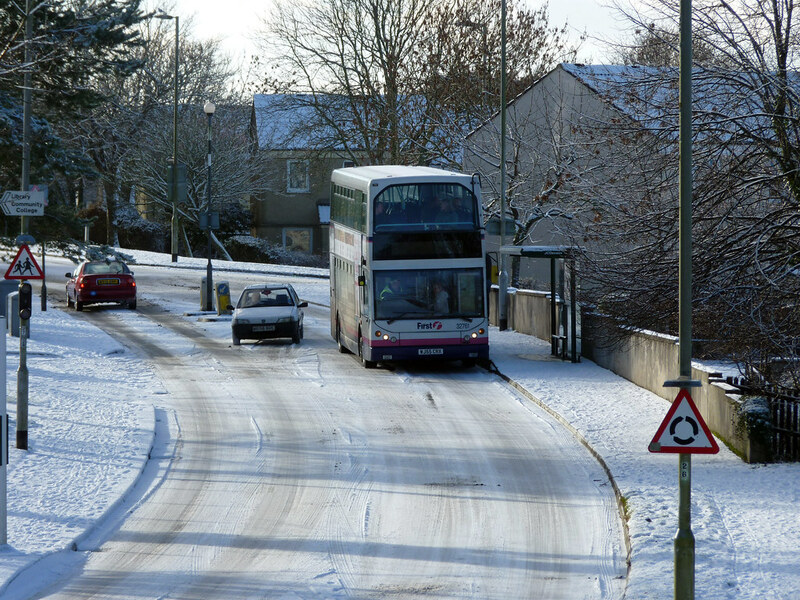 It did seem that some car drivers had no idea of how to drive in the snow and they caused all the problems for the other drivers. I watched a large Asda lorry have no problems on the road up to Asda until it came to a car stuck in the middle of the road and had to stop. Once stopped it could not get started again and was then stuck for half an hour itself. The one Citybus Dart I saw attempt this section just casually drove up the road in between all the traffic that was stuck. Excellent driving from all the bus drivers I saw today. Please can you remove the "Read More..." feature. It's irritating.